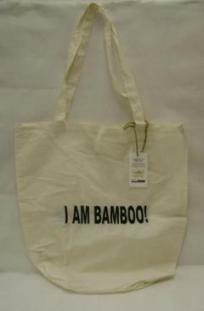 These reusable bags are made from environment friendly bamboo material. Durable. Fashionable. Washable. All-natural! 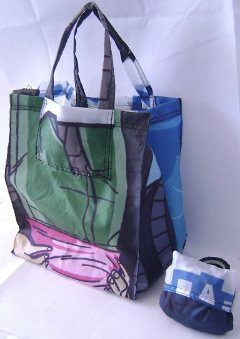 Enough space to hold equivalent of two plastic shopping bags.100% recyclable, non-toxic, light weight and hypoallergenic. 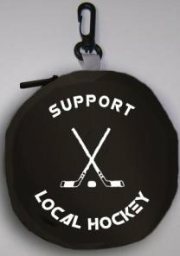 A reusable bag hidden in an unique hockey puck design! Fold the bag inside the puck, zip it up and you're ready to go! Keep a couple in the glove compartment in your car for easy access whenever you're out and about shopping. Easily slides into your back pocket! 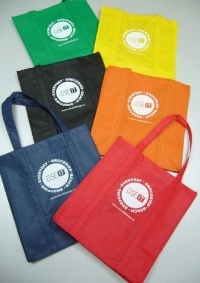 Now you won't be stuck at the cash counter without a reusable bag. This bag also can be used as a great fund raising item for your local team. Limited quantity available so act now to avoid disappointment. You can eliminate all the dry cleaner plastic in your life! My Laundry BagTM is a 3-in-1 product! 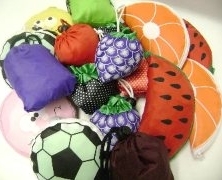 Made from 100% RPET material which is water bottle plastic. We have taken the plastic already in the environment and recycled it make a reuseable bag. 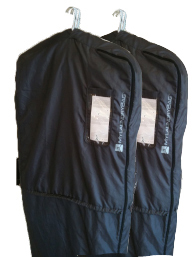 It can be used as a Laundry Bag, a Hamper and as a Garment Bag for travel. You can carry your clothes to and from the dry-cleaners and never have to deal with one-time-use dry cleaner plastic ever again! Ideal for Dry Cleaners to promote and support your green initiativess. Dry Cleaners please contact us direct for wholesale pricing and volume discounts. Looking for a one-of-a-kind reusable bag? Every time our material supplier finishes an order for banners there is always left over material. We divert this material from landfill to make our banner bags. Material is new and never used. Every bag is unique! The 200D nylon bag material is sewn in Canada and makes for a very strong, durable and washable bag. It's strength and generous carrying capacity can take on the heavy loads. Plus, we made it compact with its own fold in pocket so that it's easy take with you anywhere! 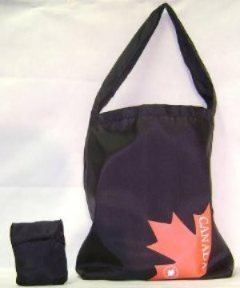 Celebrate the "Canada" inside you with this compact and durable sling bag made by Canadians. Make a statement and an impact on the environment at the same time. Available in black or white nylon material. It is especially constructed to fold inside itself so that it can be carried with you anywhere you go! Don't be surprised if people ask you where you got it from. Order in bulk for your Canada Day commemorations! Now supplying Canadian and American manufacturers! 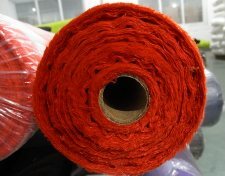 We are your direct source for this high quality material!